The Key ‘Authors & Writers’ Retreat has been designed from the tried and tested Key Creation Process®. This universal process is the ‘’know how” and “how to” behind creating anything you could dream of being or doing which in this case is you writing your book. By investing just over two days with Christine McGrory MSc. BSc, Amazon 5 star author and publisher, you will begin your exciting author/writing journey. Surrounded by encouraging and supportive peers and aspirational authors, you will create the space to give your dream the focus, energy and attention it requires to get the process started. -Experience the ideal environment to start the creative writing process. -Tap into the source of your creativity. -Learn techniques to relax and allow your creativity to flow. -Unlock your own unique writing style. -Write your own inspiring story. -Complete your author’s work book and develop clear structures to allow you. to complete your book. -Brainstorm your book’s title, content, plot, characters. -Create a list of chapters and chapter overviews. -Create a minimum of 1 full chapter draft and learn a unique development process for future chapters. -Unlock and remove any negative and limiting beliefs which would stop you creating your book. -Gain confidence in your writing and speaking ability. -Create an unshakeable belief in you, your goals and ambitions. -Create an exciting envisioned future of you as an successful author. -Be inspired and ready to move forward and develop your book. -Work with experts that will propel you forward at light speed. As part of The Key Authors & Writers Retreat you will be given the opportunity to submit an application to be part of The Authors Mentoring Programme and have your book published. The programme and application process will be discussed in full during the retreat. SPACES ARE LIMITED – OUR AUGUST 2018 RETREAT SOLD OUT AND HAS ALREADY CREATED 5 AUTHORS AND BOOKS. Widely recognised for her charm and grace, Christine has a unique ability to engage the heart. Christine is extremely grateful having been; voted one of Scotland’s most influential women by the Glasgow Herald, a finalist in The Glasgow Awards and proposed for the Glasgow Herald’s Inspiring City Awards. She was voted; Business Women Scotland’s Business Mentor of the Year and ‘The Most Promising Newcomer’ in the personal development field by The London Best You Expo. Practising and teaching a variety of transformational leadership approaches learned from world-class teachers, with a MSc in Corporate Leadership, a BSc in Chemistry and having held Director positions in business, Christine is uniquely positioned to understand and teach the spirit and science behind both personal and business success. Her transformational programmes; The Key, Unlock Mentoring, The Key to Health and Wellbeing , FOR LIFE are underpinned by a trademarked three step process known as ‘The Creation Process’ and are widely acclaimed throughout the UK as ‘Creative Genius’. 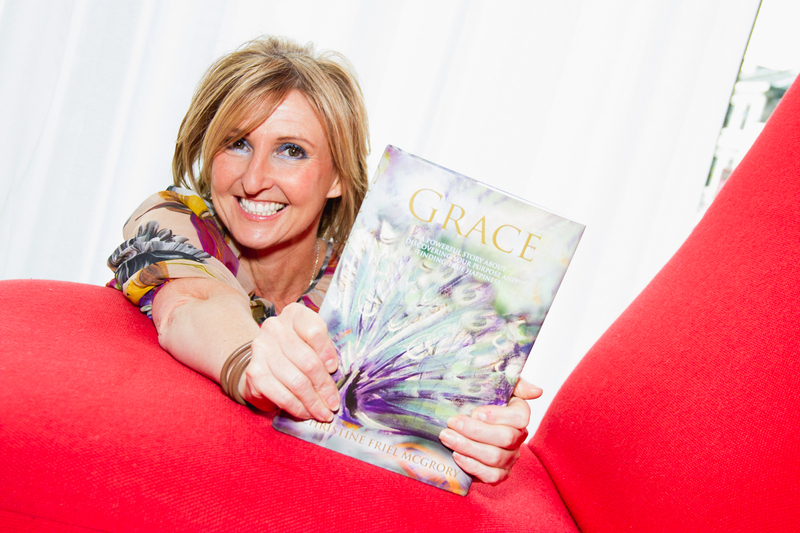 Christine’s first book, ‘Grace’ is an Amazon 5 star best seller and tells the story of a young woman who is introduced to The Key and unlocks her dreams and potential with this powerful knowledge. The book has inspired people across the planet to think and dream big. Recognised by the Queen for her work in the community and as a Trustee of her Charity, The Institute of Creation, Christine volunteers her services and her passion by delivering The Key programmes to the most challenged people, groups and communities in the country. The Institute’s work demonstrates that despite negative personal, familial or societal belief systems and conditioning, working with The Key we can create another way of being and behaving and that we can, accordingly, create a very different future.